and for some reason- have yet to wear. Turns out, it's a lovely little number! Hears 2 coats of Sally Hansen's 'Platinum'. 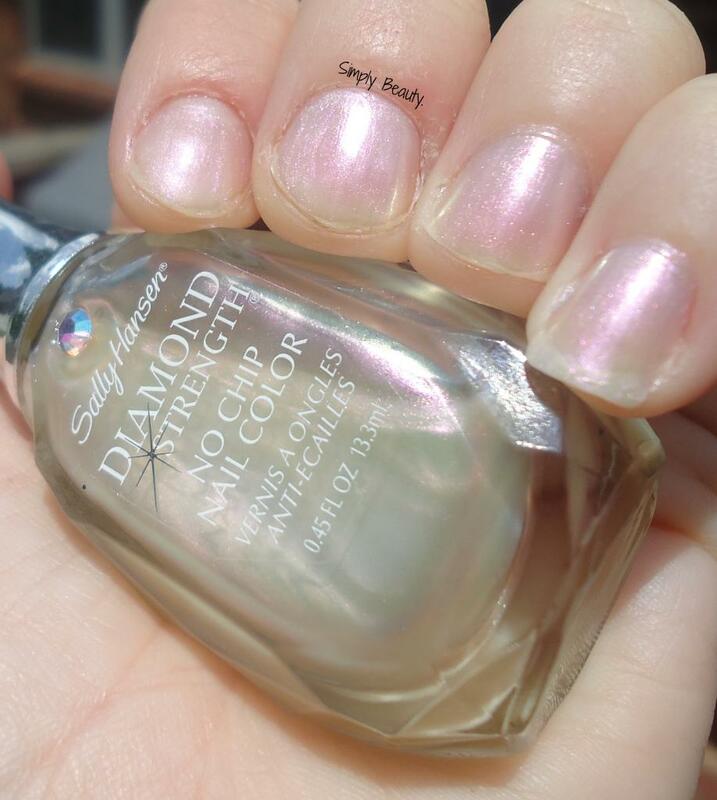 'Platinum' is a silky, gorgeous, pearl duochrome shimmer. It's very tame, but definitely pretty. Lovely. I agree, it'd be great for layering!